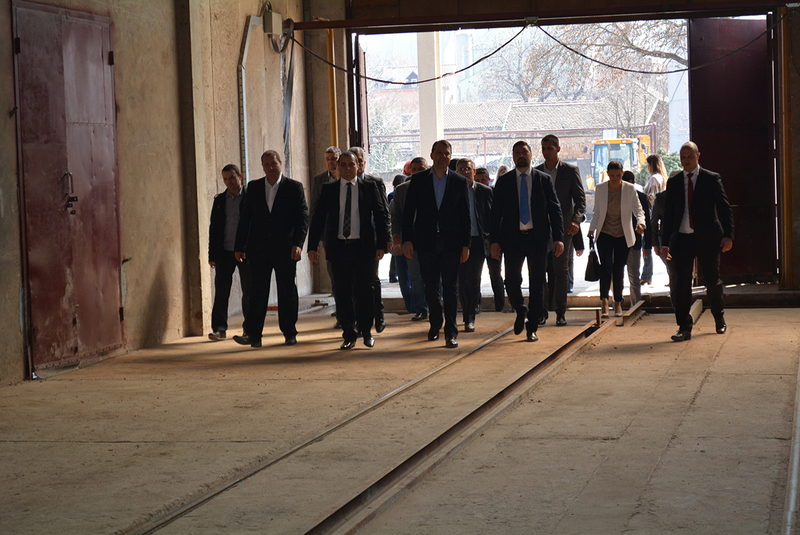 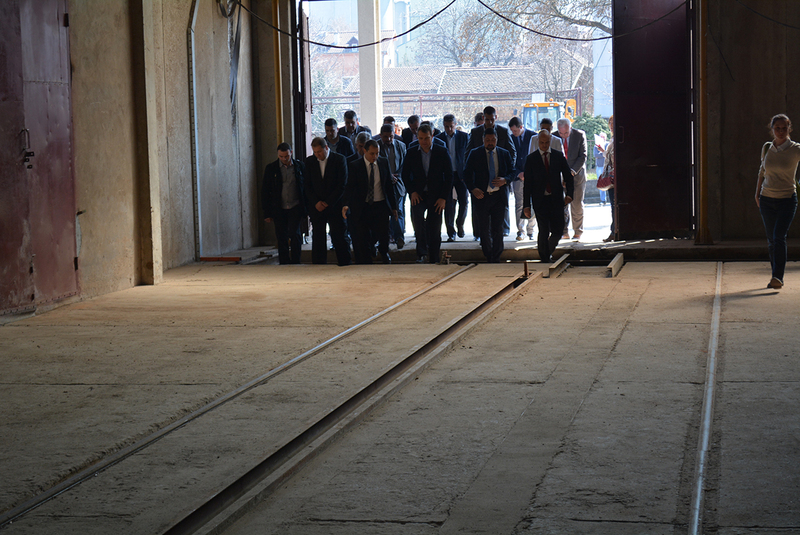 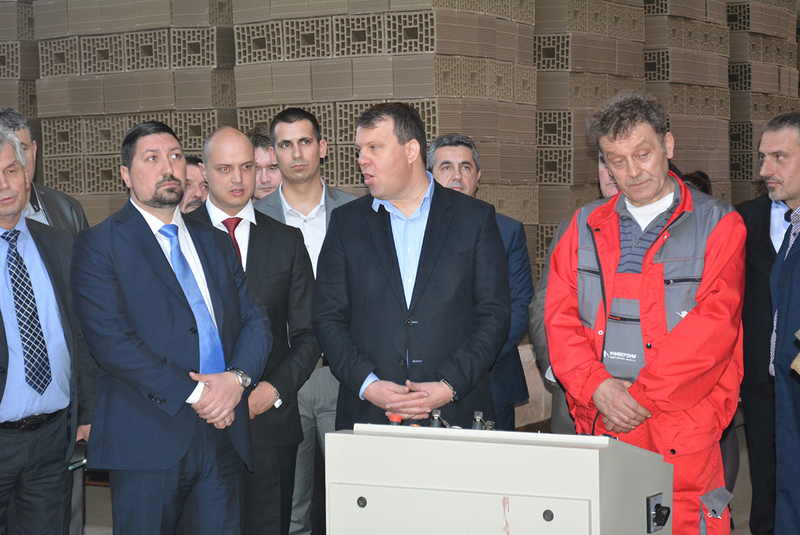 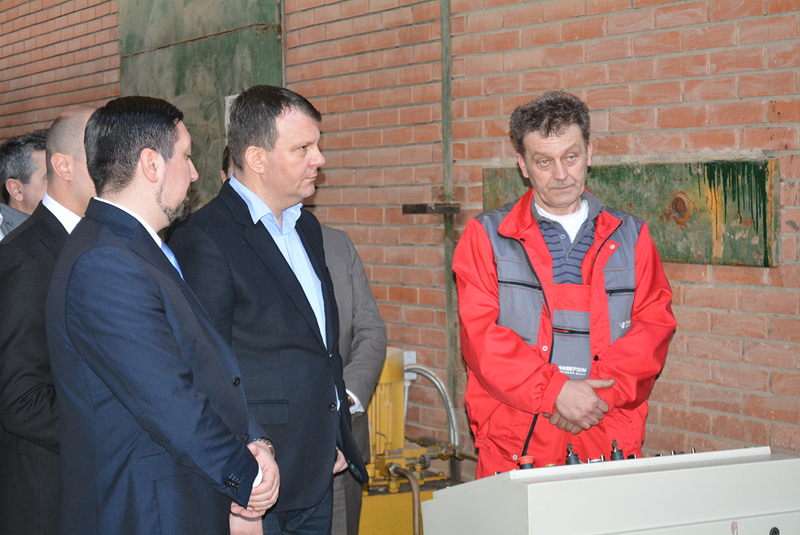 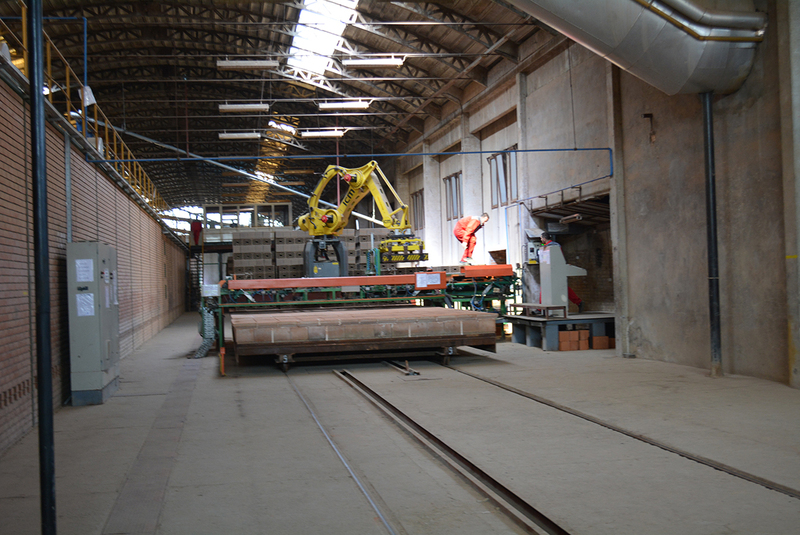 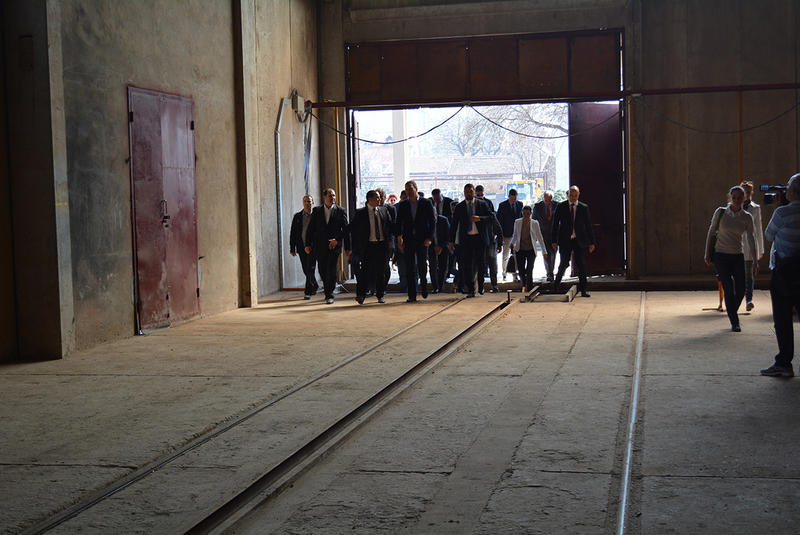 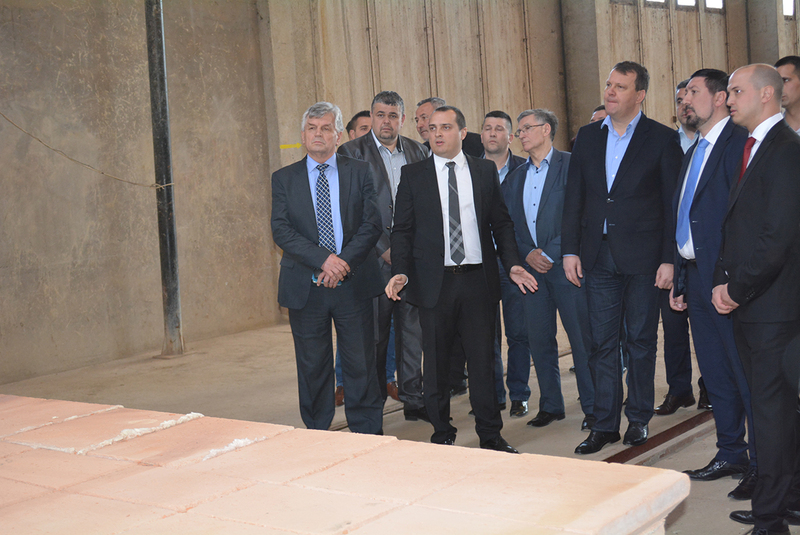 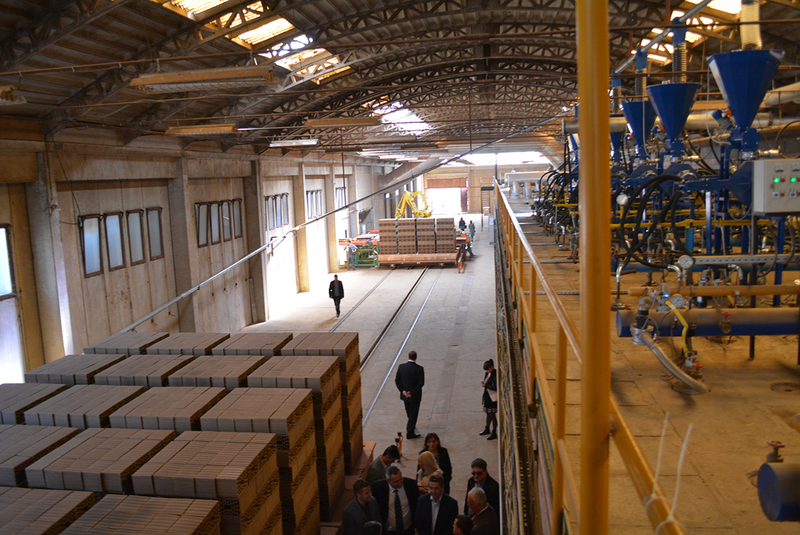 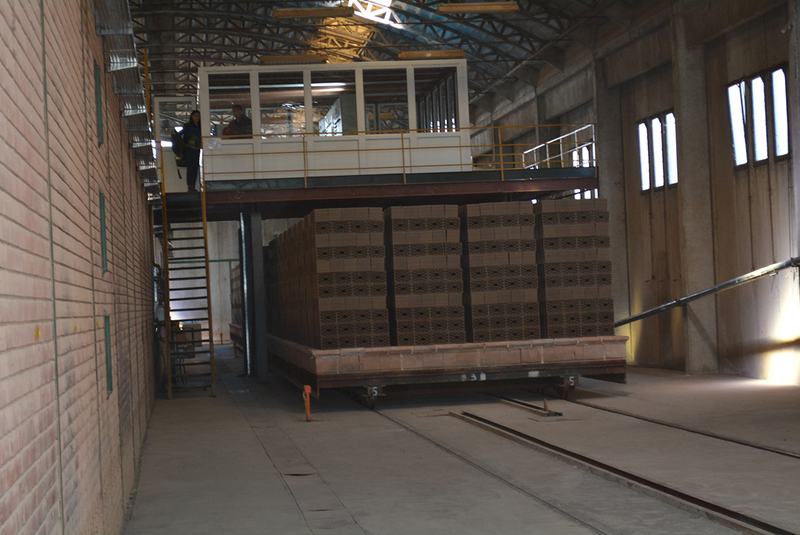 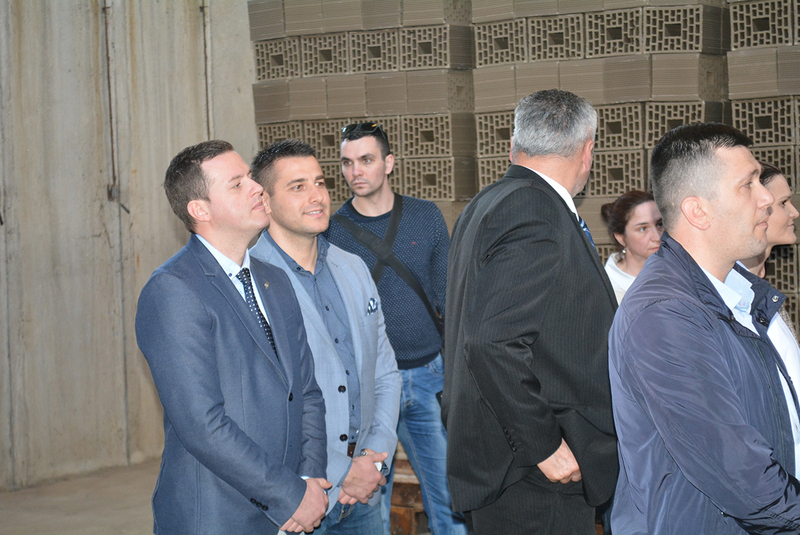 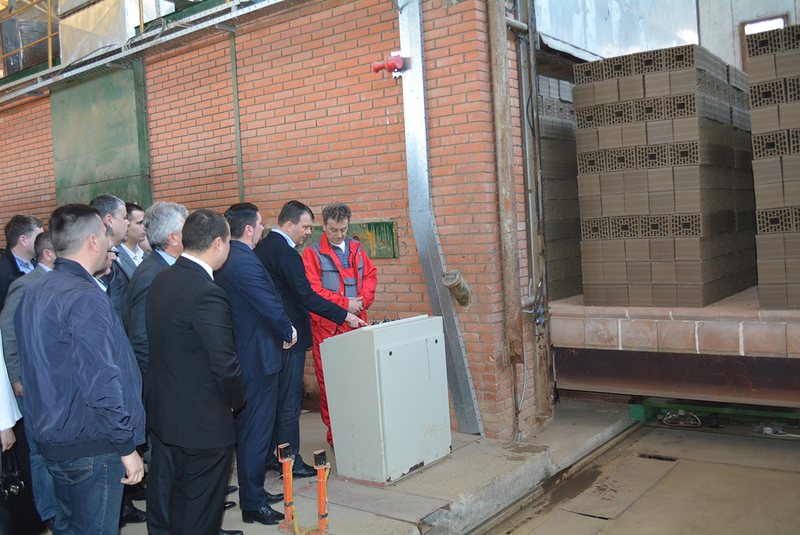 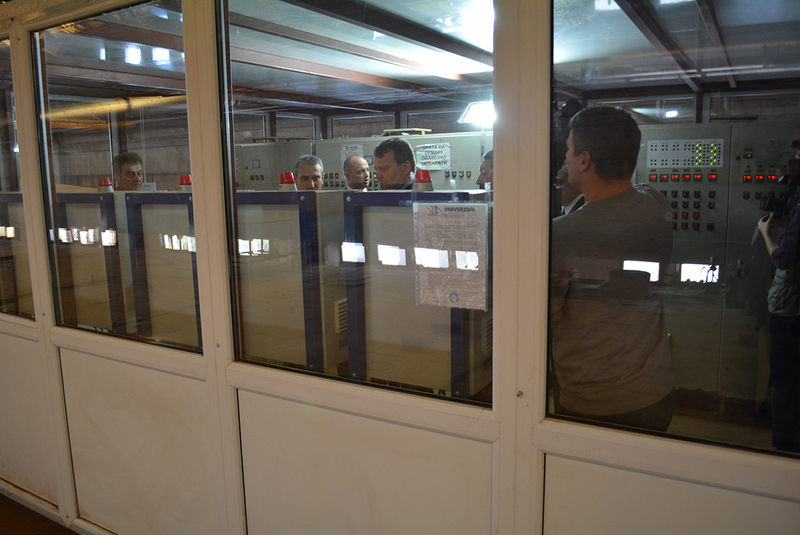 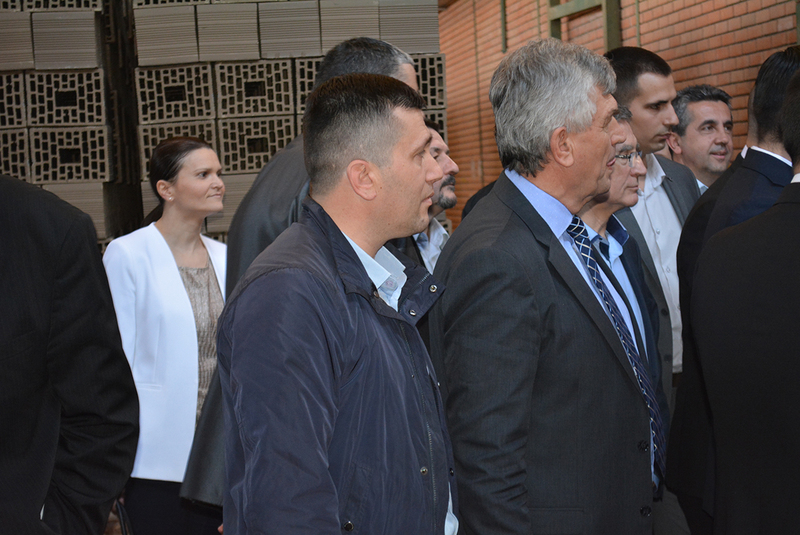 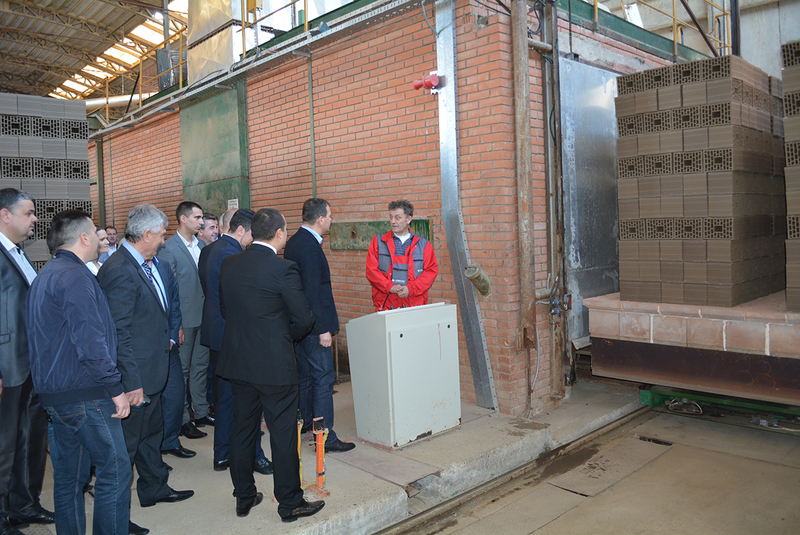 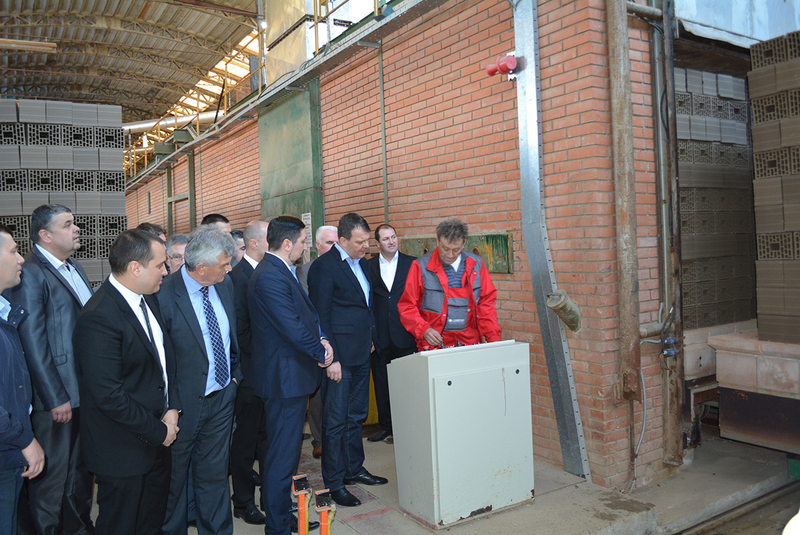 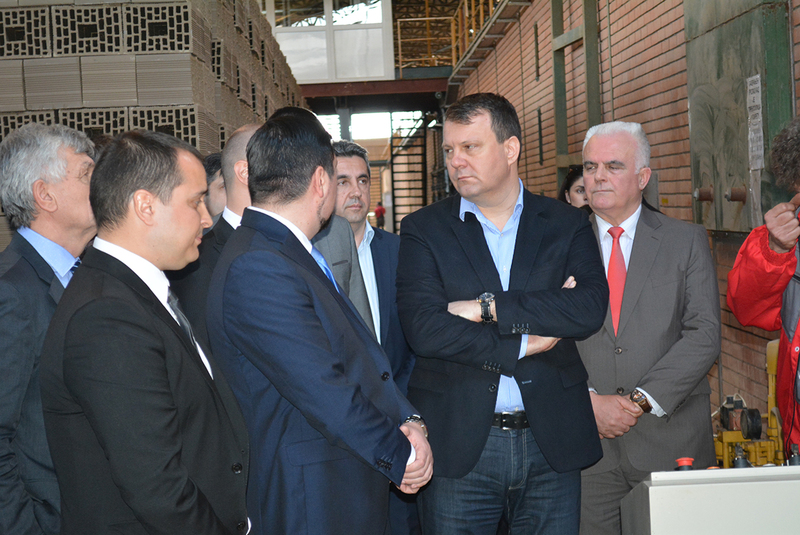 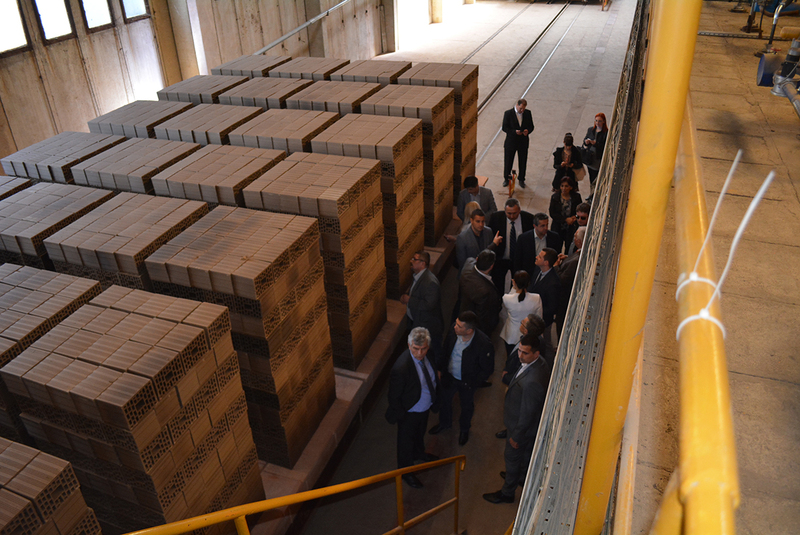 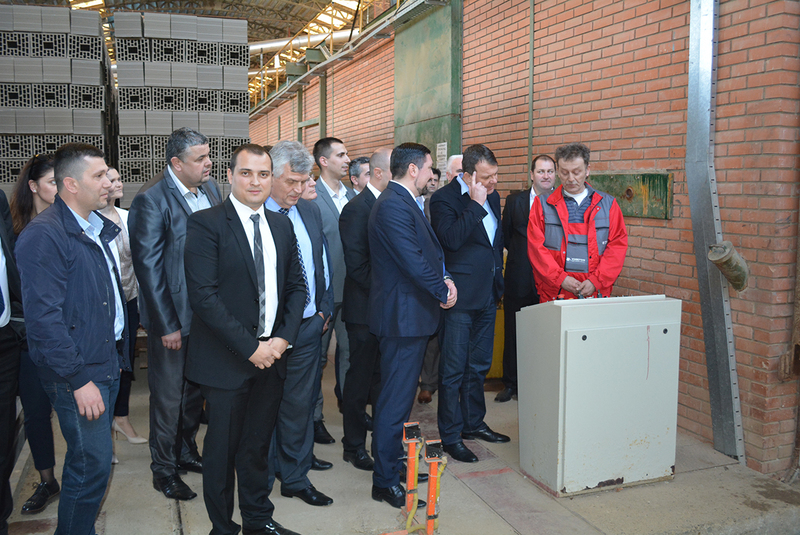 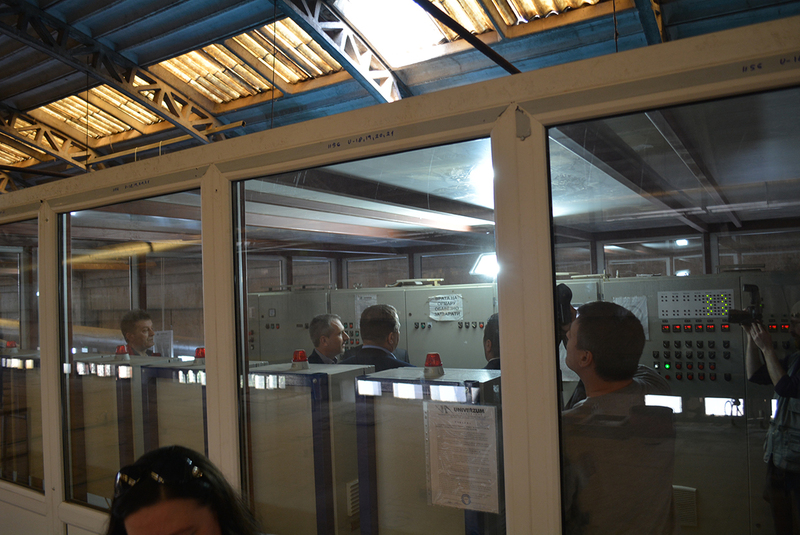 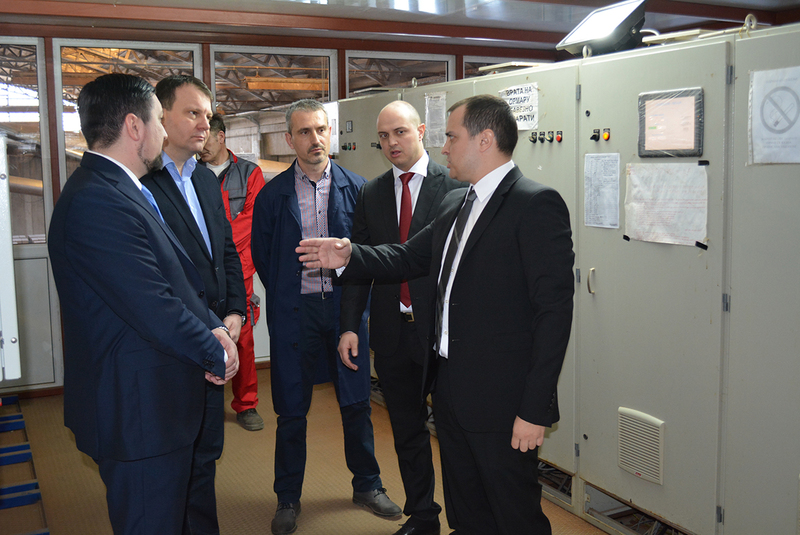 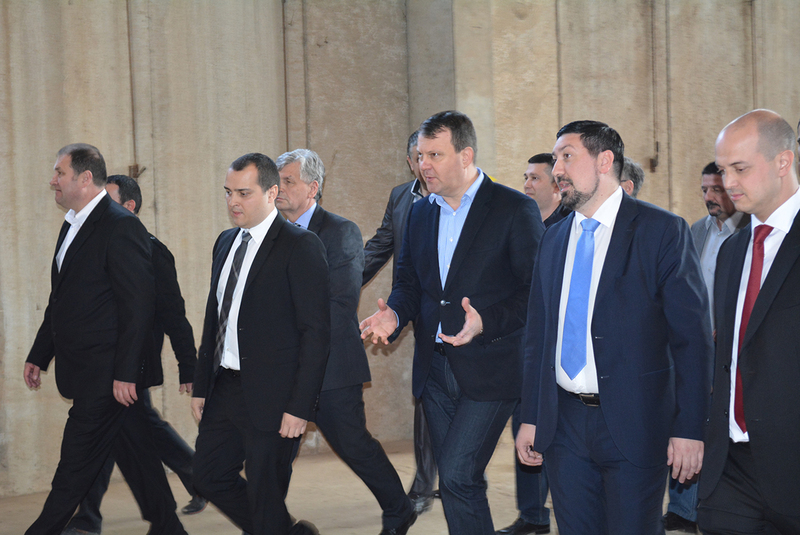 The president of The Provincial Government Igor Mirović and the mayor of Indjija, Vladimir Gak, have opened a new factory for the production of construction materials in Indjija. 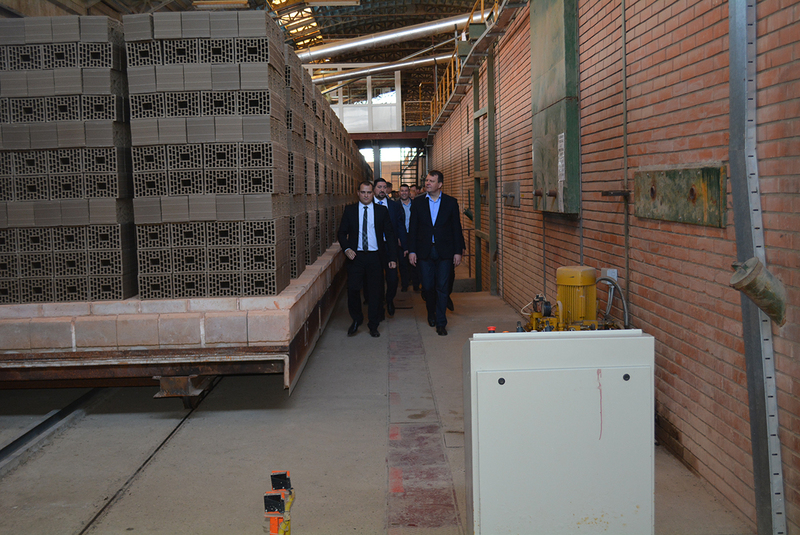 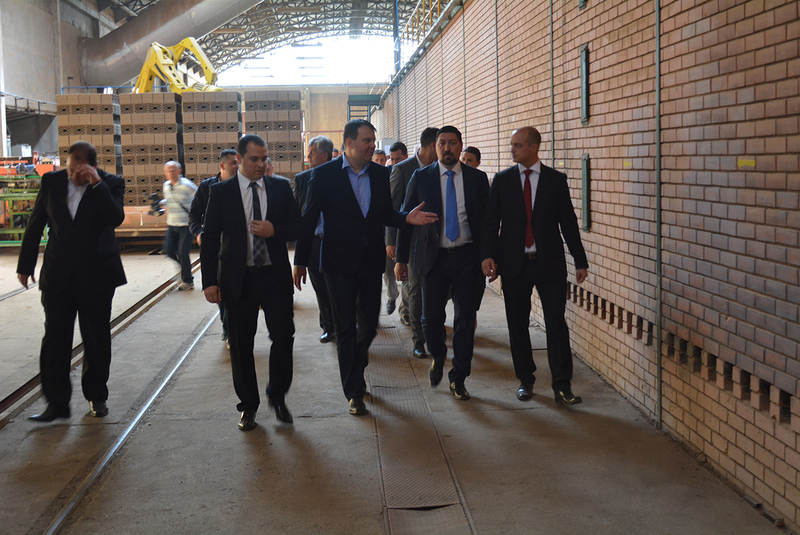 After 8 years of stagnation, production of bricks and building blocks has been launched again and new 60 jobs have been created. 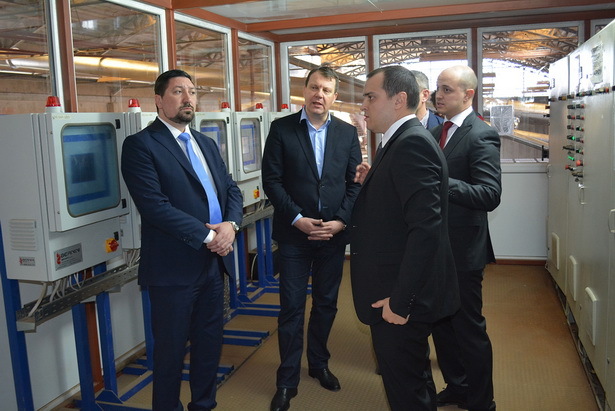 „Univerzum-Kubisnica“ from the City of Arandjelovac has invested near 2 millions of euros in modernization of production lines, robotic machines are among the new equipment. 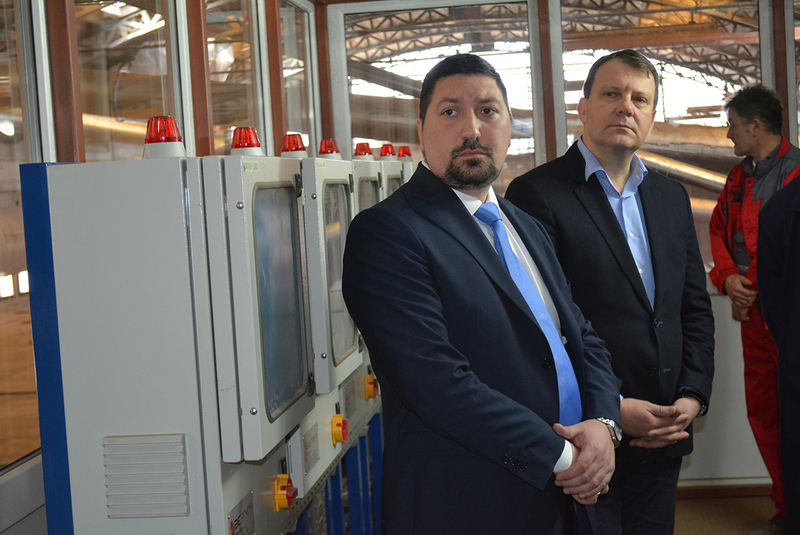 „Our main goal was to run factory again after 8 years of stagnation. 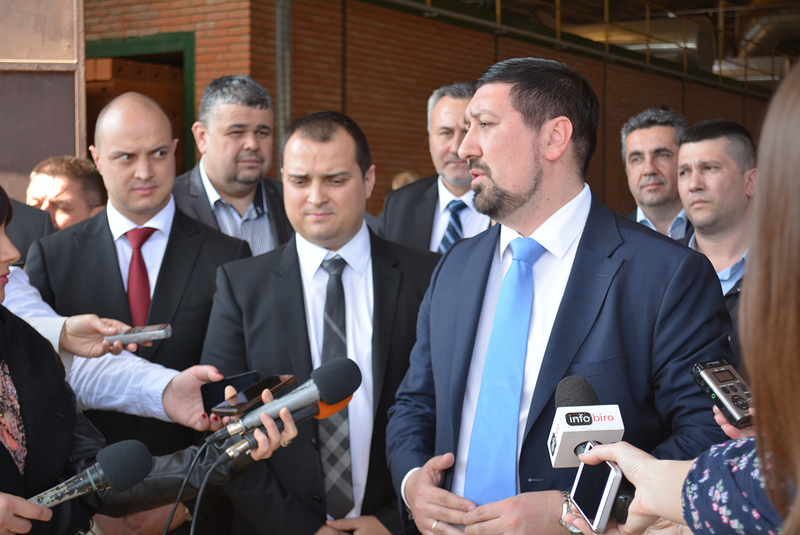 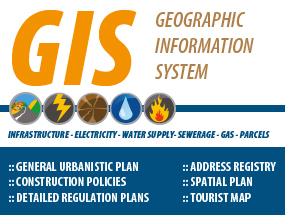 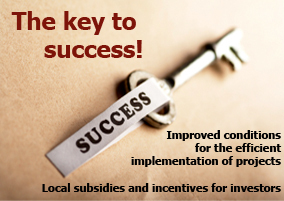 We have found as very useful thing that new local authorities have sped up the procedure of Building Permits Issuing and that was a trigger for a new beginning. 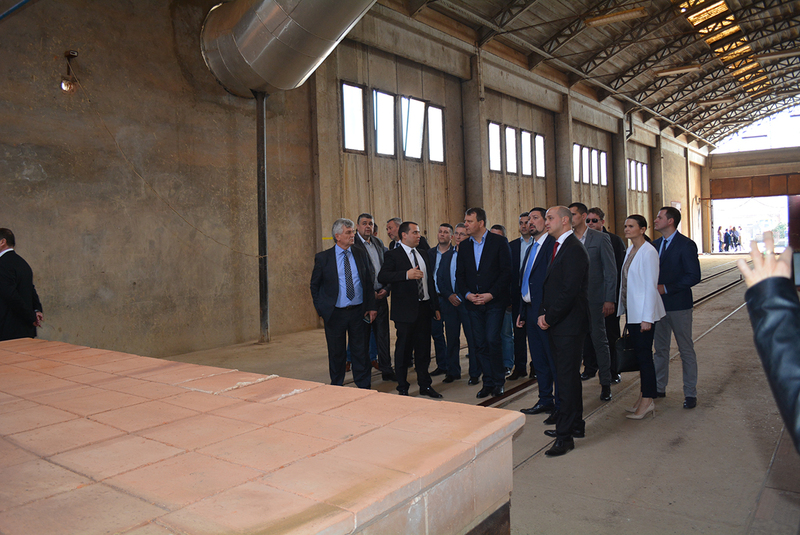 We will not stop at this point, our plans are to continue with equipment modernization and to expand our production capacities and our product portfolio in the next few years,“ said one of the owners, Branko Spasojević. 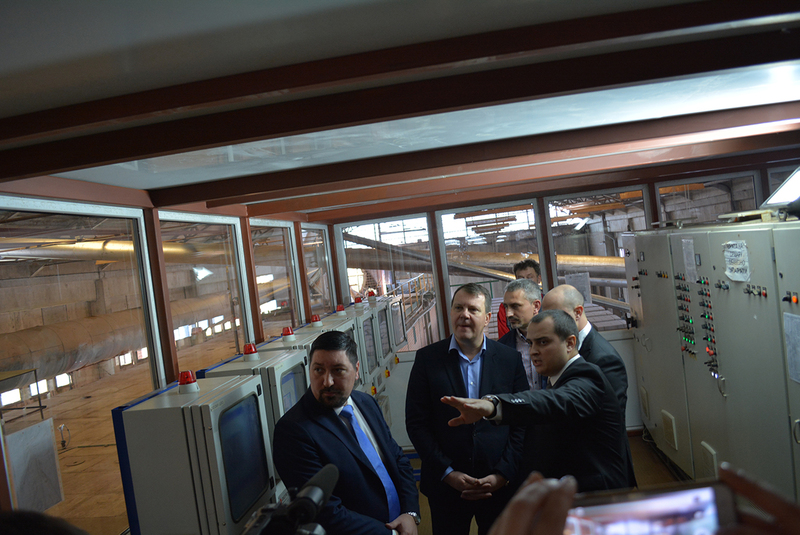 Mr. Gak has thanked to investors because they have found the way to come back and to continue with investments and because they have created 60 new jobs. 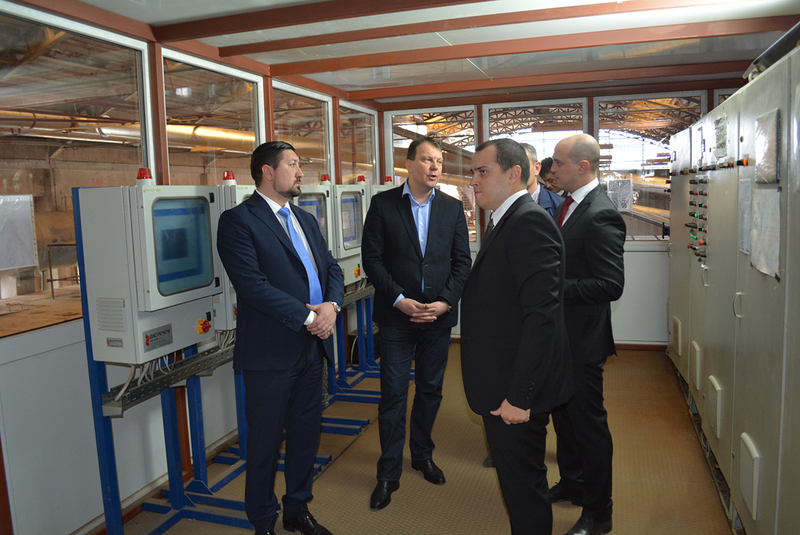 He was also pleased to see robotizing of production process. 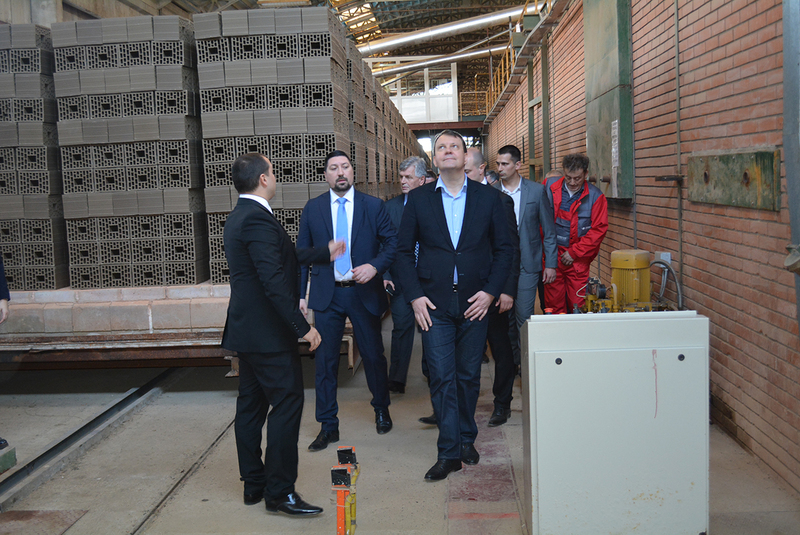 Mr. Mirović pointed out the fact that construction industry in Serbia is recovering and that the construction materials market is growing up after few years of pause. 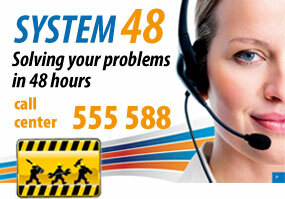 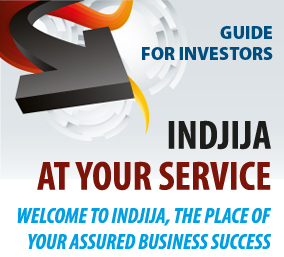 „We appreciate every investor, but when we have domestic investment it has special meaning for us. 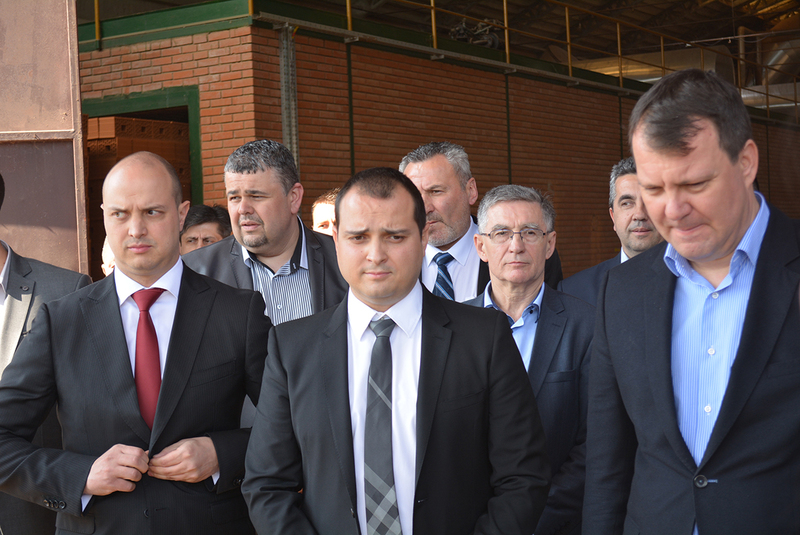 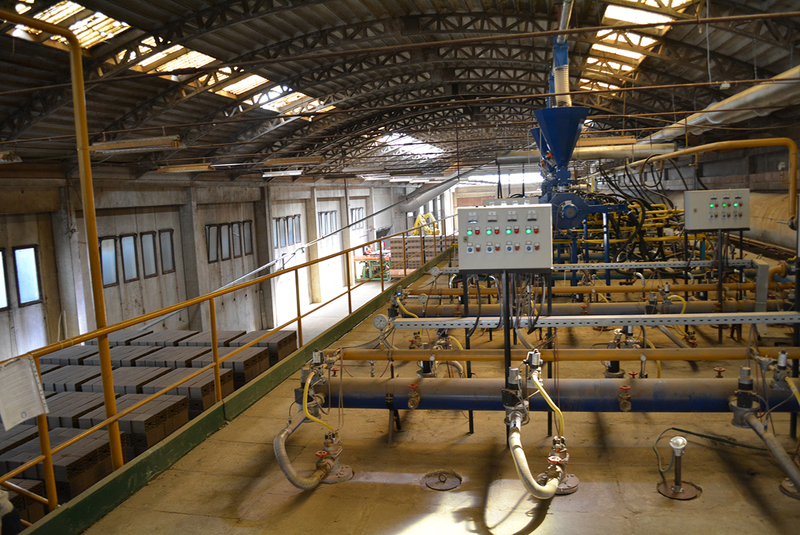 The Provincial Government has goal that all 45 cities and municipalities in Vojvodina have at least one new factory with 50 to 60 new jobs as soon as possible and that will provide Vojvodina to keep status of the most developed region in Serbia,“ said Mr. Mirovic.